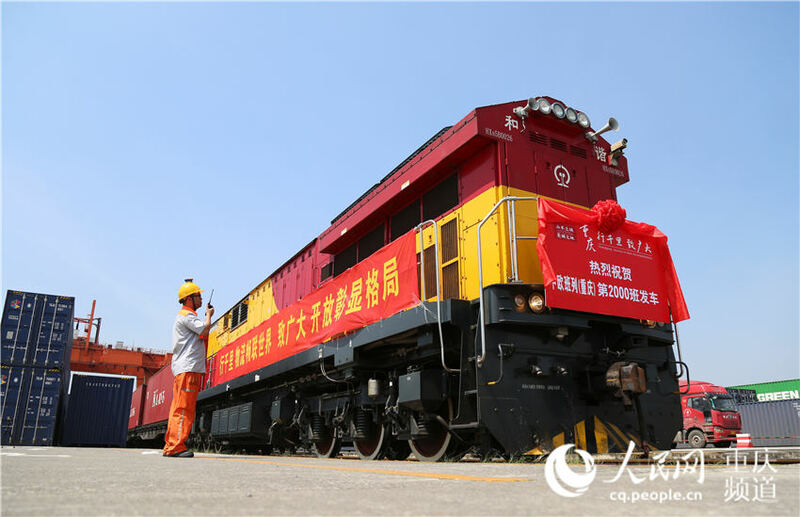 Freight trains between southwest China's Chongqing Municipality and Europe have made a total of 2,000 trips since the service was launched in 2011, local authorities said Thursday. Chongqing was among the first Chinese cities connected to Europe through the China-Europe rail routes. Since the beginning of this year, more than 400 Europe-bound freight trains have passed through the city. It is estimated that transporting goods via the China-Europe railway costs one-fifth of the expense of air freight and takes one-third of the time of shipping. As of 2017, the Europe-bound freight trains have made a total of 6,235 trips on 57 routes.